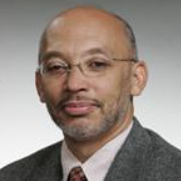 Dr. Alwyn Cohall has served as the Director of the Harlem Health Promotion Center (HHPC) since 1999. He is a professor of Sociomedical Sciences, Population and Family Health, and Pediatrics at Columbia University Medical Center. He has a wide range of research interests, such as access to care, health literacy, sexual and reproductive health, and health communication. He has authored or co-authored more than 60 publications on a wide-range of health issues as they affect adolescents and adults of color. 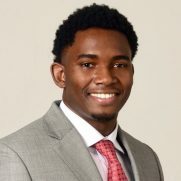 Cohall received his medical training at the University of Medicine and Dentistry of New Jersey, underwent his pediatric residency at Montefiore Hospital, and completed his adolescent medicine fellowship at Mt. Sinai Hospital. Renee Cohall serves as the Co-Director for the BeWell Health & Wellness Program. She is also the Director of Special Initiatives for the HHPC where she strategizes, coordinates and implements new projects pertaining to adolescents and young adults within the HHPC and Project STAY programs. She has been instrumental in activating the Youth Access Program outreach and clinical services. She was the Director of the School Health Initiative Project, a former core project of HHPC, which helped incorporate health messages within high schools. She also served as the Director of the Adolescent Initiative Project, which centralized communication among community-based programs and health clinics and spearheaded several coalitions to bring about collective community outreach in Harlem and Washington Heights. 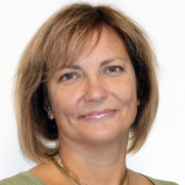 Kristan Rosenthal is the Program Coordinator for the BeWell Health & Wellness Program. 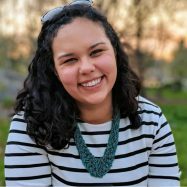 She holds a Bachelor’s in Public Health Studies from Johns Hopkins University and Master’s in both Public Health and Social Work from the University of North Carolina at Chapel Hill. Before joining BeWell, Kristan served as a Peace Corps Volunteer in Botswana developing and implementing life skills programming for HIV prevention in schools and the local community, worked as a health educator with the Children’s Aid Society in a school based health center in Staten Island, and worked to expand sexual health and relationship education programs through work at InterAct in Raleigh, NC and SHIFT NC in Durham. Dr. Hyden is responsible for creating and evaluating multimedia and technology based interventions for various health education programs and educational materials for HHPC. She is also a consultant for several city, state, and federally funded public health initiatives. 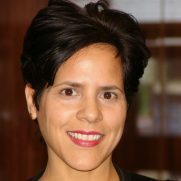 Christel received her BA in sociology from Wagner College, her MS in social research from Hunter College, and her EdD in Health Education from Teachers College, Columbia University. Nydia provides administrative and logistical support for all HHPC projects including the organization and planning of community activities. She is involved in the preparation of grants, reports and publications as well as assisting the community liaison with the HHPC Community Advisory Board. She has more than 10 years experience working at Columbia University in various capacities. 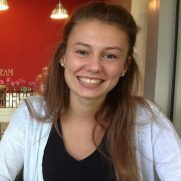 Julia is a graduate student at Columbia’s Mailman School of Public Health in the Sociomedical Sciences Department. 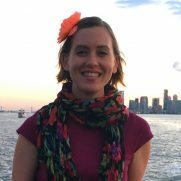 Prior to coming to Columbia and joining the BeWell team, Julia was a student at the University of California, San Diego where she majored in physiology and neuroscience. She worked with Feeding San Diego to provide nutrition education in low-income communities and created a curriculum for a healthy cooking class for kids. Julia is excited to work with the BeWell and BridgeUp staff to empower our scholars and their families to make and maintain healthy behavior changes. Natalie is a health coach for the BeWell Health & Wellness Program. She is currently a Master of Public Health candidate at the Columbia University Mailman School of Public Health in the Sociomedical Sciences department. Prior to Columbia, Natalie attended Tulane University and earned her Bachelor of Science in Public Health. While at Tulane, she worked as a peer health educator for the school’s health promotion office and is excited to do similar work with BeWell. Her interests in public health lie in maternal and child health as well as sexual and reproductive health. 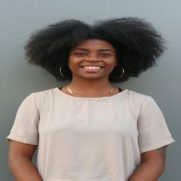 Sky is a first year social work student at Columbia University School of Social Work, with an intended concentration on health, mental health and disabilities. Prior to coming to Columbia, Sky worked as an OBGYN patient coordinator at Weill Cornell Medicine. She also worked on a research team that focused on the asylum-seeking process for persecuted LGBTQ members in Johannesburg, South Africa. 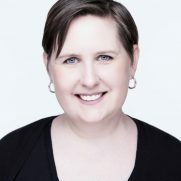 Her interest lies within advocacy and social justice for marginalized groups, as well as accessibility to youth programs and mental health services with “at-risk” adolescents. Chris is a first-year MPH student at Columbia University Mailman School of Public Health in the Department of Population and Family Health with a certificate in Public Health and Humanitarian Assistance. Born and raised in the D.C. metropolitan area, Chris graduated from T.C. Williams High School and studied Biology at the College of William & Mary in Virginia. While completing his undergraduate studies, he spent his summers interning with the HIV Working Group, a volunteer-driven HIV/AIDS education, outreach and advocacy initiative at The DC Center for the LGBT Community. After graduation, Chris served as a Community Health Educator in the U.S. Peace Corps in Belize, where he planned and implemented maternal & child health and non-communicable disease prevention programming in a rural village setting. He also organized Boys Reaching Out Belize, a national youth leadership camp striving to promote gender equality and health ownership among preteen-aged boys. Chris is passionate about promoting and facilitating healthy lifestyle practices in all different populations, and he’s excited to continue working with scholars in the Bronx. Shamaal is currently pursuing a Master’s degree at the Mailman School of Public Health with a concentration in Health Policy and Management. Previously, Shamaal completed his undergraduate degree at the University of Pittsburgh where he was involved in track and field as well as peer mentoring and tutoring. In the future, Shamaal plans to advocate for policy solutions that will make healthcare more affordable and accessible for marginalized communities. 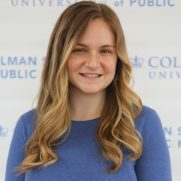 Mary is a first-year student at Columbia’s Mailman School of Public Health, with a concentration in Sociomedical Sciences and earning a certificate in Health Promotion Research and Practice. Before Mailman, she was an AmeriCorps VISTA working on Healthy Futures at a hospital in Phoenix, AZ and a Community Health Education Volunteer with Peace Corps in Koh Kong, Cambodia. She graduated from the University of Southern California in 2011 with BAs in Gender Studies and Creative Writing. She is an avid reader and runner and looks forward to working with the students in the BeWell program. Cage is a Post-Baccalaureate Premedical student at Columbia University, with a focus on LGBT Health. 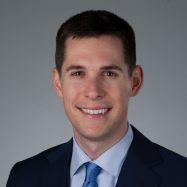 Prior to joining the BeWell team, he earned his BA in History from Duke University and an MBA in General Management from New York University. 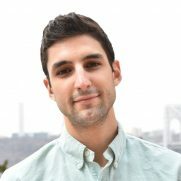 As a Staff Writer he develops new and engaging content for the BeWell BridgeUp website on health, nutrition and college preparation for scholars and their parents. He also volunteers as a peer counselor with Columbia’s Gay Health Advocacy Project and works as a health educator with Project STAY, BeWell’s partner organization, which provides free HIV and STI testing to adolescents and young adults.